Donate Lab Equipment.org is a 501(c)3 Non-Profit Organization founded by Cancer survivors and their families. Our Lab Equipment Donation services aim to enable Greater Boston, Ma businesses to feel good about recycling, disposing or donating their used lab equipment. Contact us to request and schedule one of our free pick up services. 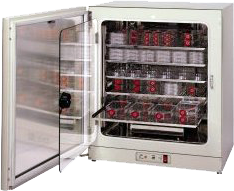 Donate Lab Equipment Boston donates all proceeds to help Cancer patients and their families through the SMCAC (Scientific & Lab Coalition Against Cancer). All donations are Tax Deductible charitable donations. We can handle any capacity of business volume and will collect everything you wish to donate. Our friendly representatives will contact you about your donations and work with you to arrange a convenient time for your pick up. Donate Lab Equipment works frequently with businesses looking to equipment their old equipment and receive tax write offs services in return. An innovative website with Cancer type specific information for patients and their loved ones. The ability to meet others patients with the same cancer through patient social networking at the SMCAC website community.